Claims rejected by an insurer and/or the super fund trustees. Decisions not made by an insurer and/or the super fund trustees. A super fund trustees failure to take out insurance coverage. Loss of insurance coverage due failure by an employer to make superannuation contributions. Negligent insurance advice received from a financial advisor or other professional. Your rights can be enforced against an insurer, super fund trustee or other party in court. In court proceedings you can also claim interest on the benefits that you should have been paid, as well as a contribution towards your legal costs if you are successful. This is not the case in other forums such as the Superannuation Complaints Tribunal or when utilising the services of the relevant Ombudsman. An insurer has an obligation to assess your claim fairly and reasonably and to make decisions in good faith. 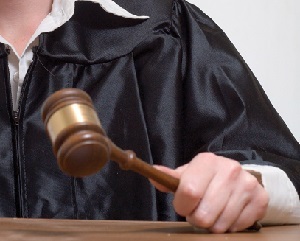 There are many ways in which an insurer’s decision can be overturned – for example if the insurer has ignored relevant evidence, or fails to provide you with an opportunity to comment on any adverse evidence they have received during the course of a claim prior to making their decision. Quite often some clauses or definitions in policies are open to interpretation, and if the insurer has failed to take account of your interests in making their decision, or has adopted an interpretation which is either wrong or more in their interests, you can dispute that. If you have lodged a TPD claim and it has taken more than 6 months for the insurer to assess it, you may be able to speed things up and enforce your entitlements. Sometimes an insurer’s failure to make a decision can be a deemed a refusal of your claim, giving rise to your right to sue on the insurance policy. This depends on how long might be considered reasonable for the insurer to make a decision in the circumstances. Depending on the facts, it may also be possible to make a quick application to the court for preliminary orders to compel the insurer take a particular step or make a decision by a certain date. Sometimes super funds, for one reason or another, fail to take out proper insurance cover. This means that if you become injured or ill you cannot claim on the insurer. This could occur, for example, if, at the time you joined the fund you did not qualify for coverage as your hours of work were too low but subsequently your hours increased. This could also occur if the super fund has failed to deduct premiums from your account or failed to properly follow your instructions to opt into or increase your existing coverage. In these circumstances you may have a claim against the super fund for the loss of value of the insurance benefits that you would have been entitled to. An employer is required to make compulsory superannuation contributions to a nominated fund on your behalf. In some cases an employer will fail to make contributions, which can, in turn, mean that you do not have insurance coverage that will respond if you become injured or ill.
An employer can fail to make contributions for various reasons, including, for example if they think you are a contractor rather than an employee. Of course it depends on the circumstances, however the tax office has ruled that, if a contractor is performing substantially labour only and is being paid for the hours worked, then super contributions should be paid. Another example may be where an employer directs the contributions into one account – an incorrect account – despite your clear instructions to pay these to another account. An employer may otherwise simply fail to make contributions for financial reasons that is it does not have the money to pay. If you are injured or ill but do not have insurance coverage because of your employer’s failure to make contributions you may be able to claim against them for your loss in this regard. Your rights can arise in different ways. If you are an existing member of a super fund, you may have rights under the trust deed that forms the fund. You may also have contractual or statutory rights depending on your circumstances. A financial advisor or other professional has a duty to take all necessary steps to ensure their advice is competent, fits your particular circumstances, and is in your interests. If you suffer a loss because of a failure to insure or you are underinsured due to an advisor’s negligence, you may have a claim against the advisor for that loss. For example, if an advisor has recommend transferring your cover to a second super fund or insurer with lower benefits, and they have not advised you about this, then you may have a claim against them for the difference in the value of the benefits. A different fund or insurer may also impose different conditions or exclude certain claims that may affect your ability to recover benefits. If an advisor does not clearly inform you about the differences before cancelling your existing cover, and you suffer a loss as a result, you may have a claim. Furthermore, if an advisor fails to properly follow your instructions, then any loss you suffer as a result of this failure may give rise to a claim. Similarly, if the adviser fails to provide advice in respect of all of your options and instead just “sells” a policy to you which will also benefits them with commissions or other rewards, then there is a conflict of interest. This may also give rise to a claim, if you suffer a loss as a result. To learn more about contesting, challenging or disputing a claim call Super Claims Australia on 13 43 63 for a free, confidential discussion. Our QLD offices are in Brisbane, North Lakes, Logan, Ipswich, Toowoomba, Gold Coast, Sunshine Coast and Cairns.